From 1937 to 1974, the Harbat Family had a large dairy farm operation in the Hopewell Valley. 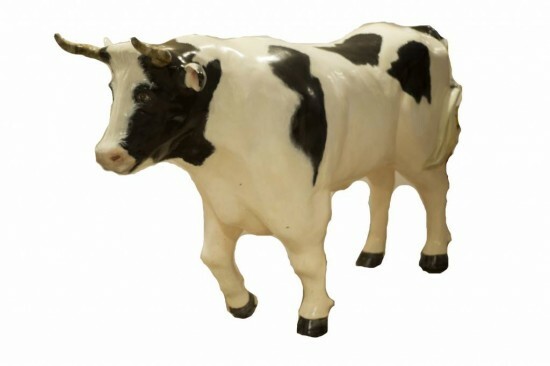 Cattle were a very integral part of the landscape in the valley at that time, and creating an ox was a way to give recognition to the Holstein breed, a prominent dairy cow. In 1948 there were more cows in Hopewell than people!